Thursday Physics lab cancelled…time to catch up on homework try a new recipe! 1. Dry sliced tofu between paper towel sheets. 2. Pour lemon juice into a shallow container. Add 1 tbsp green chili chutney, and mix well. 3. 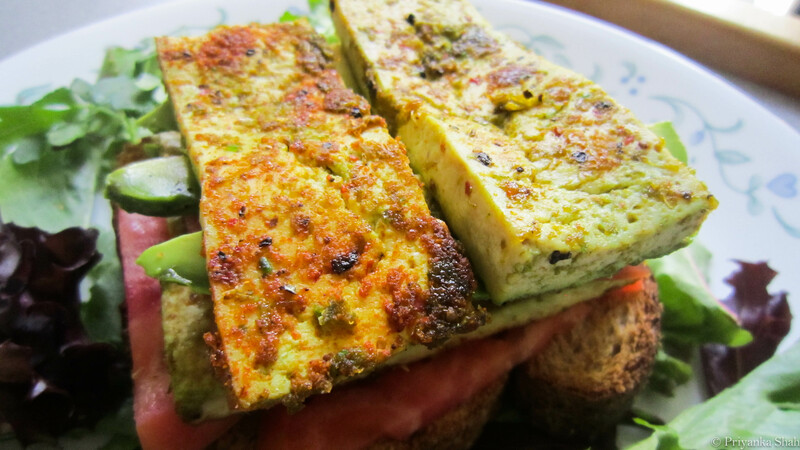 Coat tofu slices with chutney-lemon mixture. Meanwhile, heat olive oil in a shallow pan. Once warm, place the tofu slices in the pan. 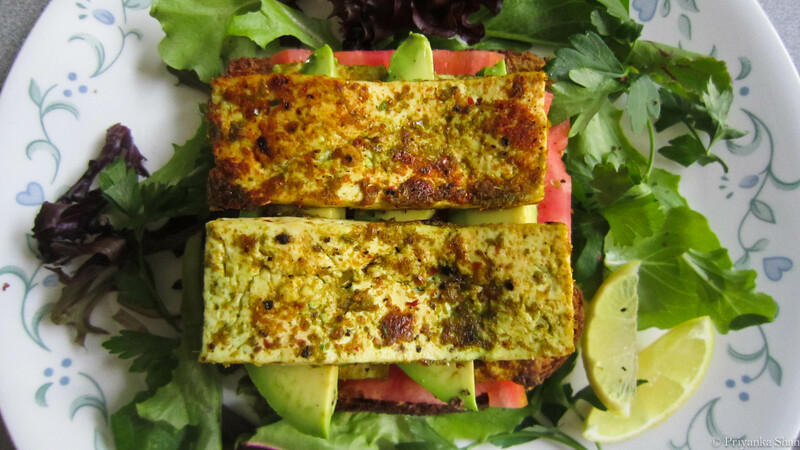 Sprinkle masala and a few twists of black pepper onto tofu slices. 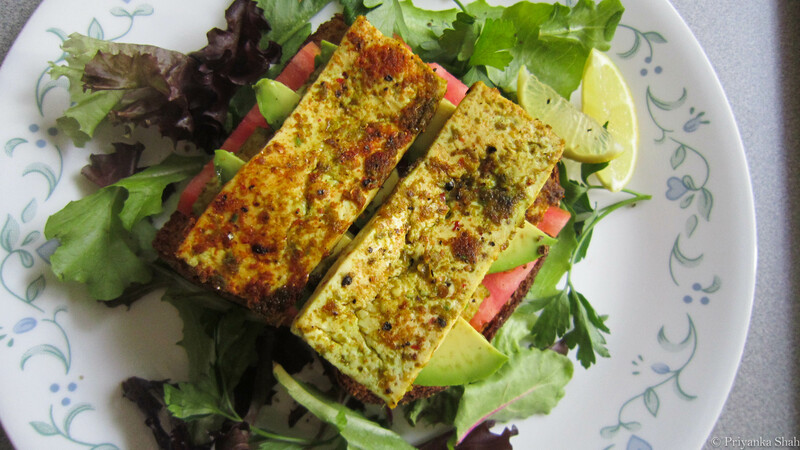 Drizzle agave nectar over the tofu; let cook for 5-8 minutes on medium heat. Cook thoroughly on both sides. 4. While tofu is cooking, prep avocado and tomato slices. Also toast bread slices. 5. Assemble plate with herbed greens on the bottom of the plate. Place warm toast over greens, and drizzle olive oil over the toast. 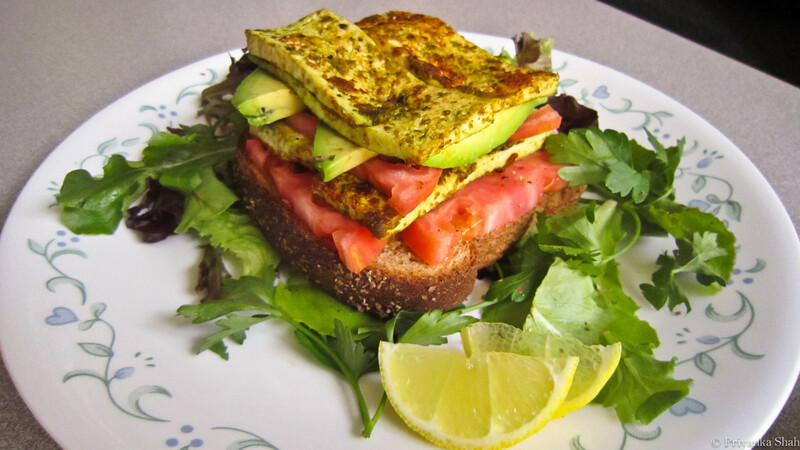 Layer heirloom tomato, avocado, and warm tofu slices. Sprinkle some more black pepper over assembly. Garnish with lemon slices! Looks delicious! Make this one for me when you come home.